The Vinny Perth era is officially up and running thanks to Michael Duffy's bit of magic against UCD at Oriel Park last night. With the game locked at one goal apiece, last year's PFAI Player of the Year produced a trademark goal to secure the champions, and their new head coach, a first league win of the season. A brisk opening saw chances fall at both ends. 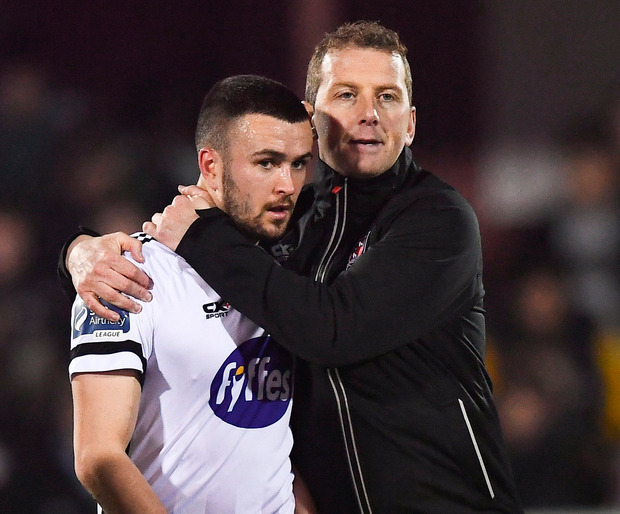 The best arrived the home side's way in the third minute when Patrick Hoban collected a Sean Gannon cross on his chest only to hammer the subsequent effort straight at Conor Kearns. 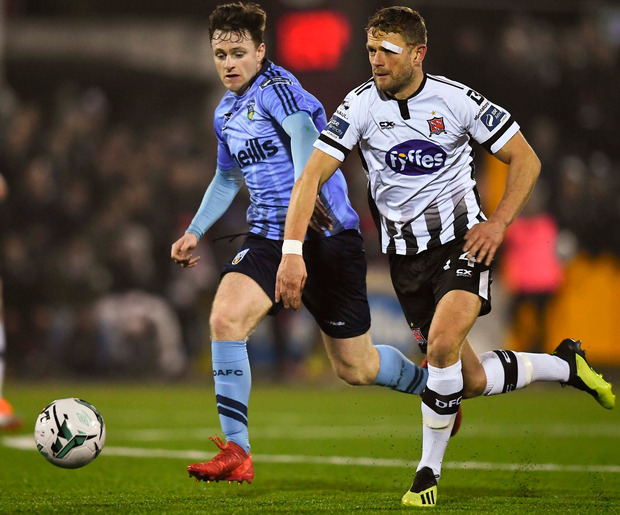 A similar route led to the opener in the 29th minute when Farrugia ran on to a Conor Davis pass on the inside left and buried his effort past Rogers to give Collie O'Neill's side the lead. Perth was able to breathe a bit easier when Hoban pulled them back on level terms eight minutes after the restart. Sean Gannon's ball in from the right came off the hand of a UCD defender and Hoban sent Kearns the wrong way after a couple of shimmies in the build-up. 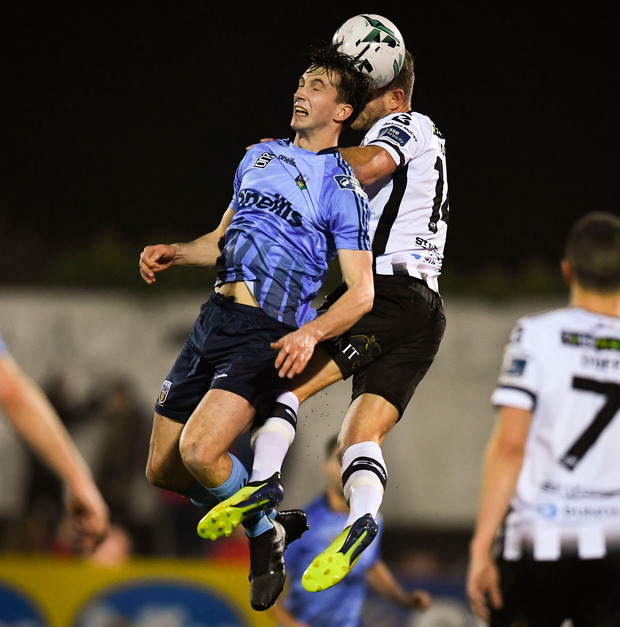 DUNDALK - Rogers; Gannon, Cleary, Hoare, Massey; Shields, Flores (McGrath 37); D Kelly (Dummigan 87), Murray (Mountney 61), Duffy, Hoban. UCD - Kearns; Tobin, Scales, Collins, Dignam, McClelland (McDonald 87), Doyle, O'Neill, Molloy (Farrell 83), Farrugia; Davis (Mahdy 73).